Personal finance is not on the top of most educational plans. Only around 17 states require their students to complete a course on personal finance, and an even more minuscule number of states require testing on the subject. It is easy to lose control of spending once there is a steady paycheck in the household. After college, it is one of the most crucial financial times of a young person’s life. Fiscal responsibility (or lack thereof) can become the deciding factor for a person’s future. 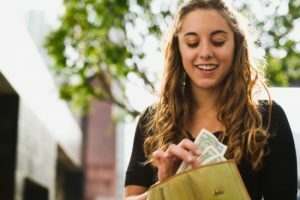 Here are a few stellar financial tips for young people to consider when managing their income. Obtain a full credit history. Every American is entitled to one free credit report from each of the credit bureaus each year. Young or old, everyone should take advantage of this opportunity. Keeping a close eye on one’s credit report is crucial to future financial success. Without a solid credit history, many milestones in life will be much harder to achieve. Buying a home or car may be much more expensive with a questionable credit history looming in the background. Take the idea of “credit” seriously. Start saving money whenever possible. Every young person should maintain a positive savings account. Life is extremely unpredictable. A secure stash of money will help to assure that one negative event does not have the power to throw personal finances into turmoil. Be a devout saver. It is recommended that a young person begins saving at least one-third of their monthly income. For every three dollars earned, one dollar should be stashed away for a rainy day. Stick to this formula, and surprises will not be so surprising on the wallet. Build a retirement plan ASAP. Begin investing in a retirement plan immediately. Retirement may seem long ways away, but there is no longer much of a safety net for people who wait to invest. Social security is no longer a sustainable form of income after retirement. For millennials, social security could be a thing of the past. Find a reliable way to build a retirement plan. Most employers offer the opportunity to invest in a 401k retirement. Use credit cards with care. Credit cards are the culprit in too many bad credit scores. Be careful with credit cards. Do not spend money on credit unless it will be possible to pay it back by the end of the month. Credit cards can be used as tools to build a person’s credit score, but they must be utilized properly. Stick to a monthly budget. Formulate a monthly budget that balances expected expenses and income. The most important aspect of building a workable budget it that the person sticks to the plan. A budget is useless unless it is followed.